The game gives both teams a chance to gain experience in non-league competition early in the season. For the Bulldogs, it’s a chance to play a NCAA Division I team at a faster speed than usual. And there is the thrill of playing at Stanford stadium — an opportunity most players in the Bay Area grow up only dreaming about. The team is excited for the game and looks forward to seeing CSM supporters in the stands! 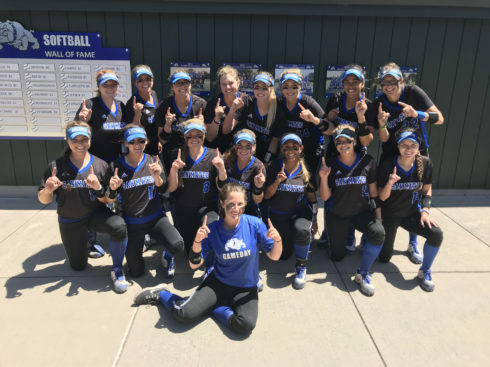 This entry was posted on Thursday, October 25th, 2018 and is filed under Athletics, Softball. You can follow any responses to this entry through RSS 2.0. You can leave a response, or trackback from your own site.